The best things in life take time. This one simple ingredient can transform the mundane into the extraordinary. Our Goose Hollow RSV is a meticulous blend of straight bourbon whiskeys all aged for a minimum of two years, and rested again in charred Oregon Oak casks. 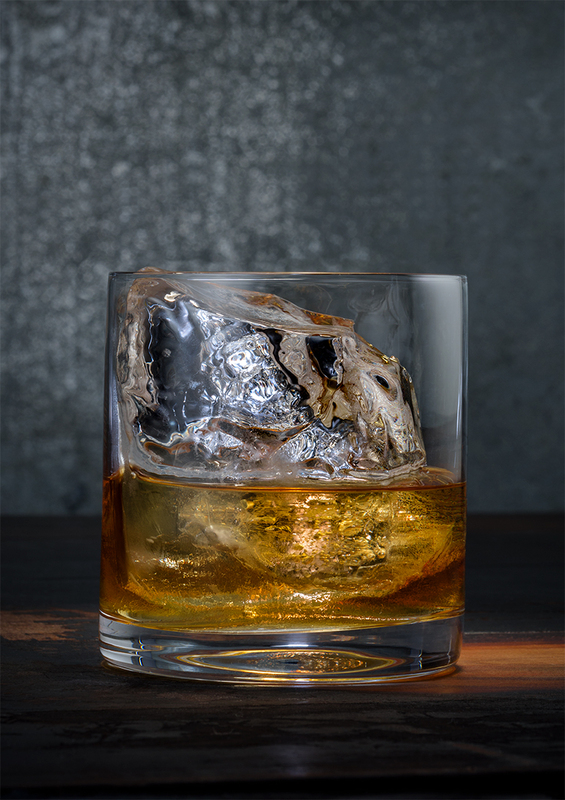 The best way to appreciate this well aged spirit is to simply pour it over a very large chunk of ice, and give it time. Sip it slow and enjoy the myriad flavors as the ice melts. Add a big chunk of ice to a nice heavy bottomed glass. Pour Burnside Goose Hollow RSV Bourbon over ice. Sip gently sitting next to a big window on a calm rainy day. 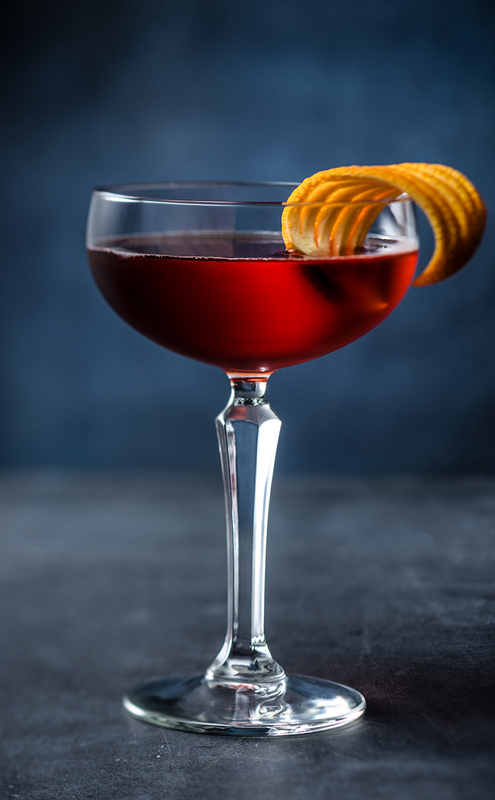 The Boulevardier is the perfect sipping cocktail for a classy evening – whether you're spending it out on the town or treating yourself to a night in. This easy to craft tipple blends the citrusy bitterness of Campari with the oakey sweetness of Burnside Oregon-Oaked Bourbon. The result is rich & intriguing, because elegance doesn't have to be complicated. Add ingredients to a mixing glass filled with ice. Stir for 15-20 seconds. Strain into a coupe glass and garnish with an orange peel. The West End neighborhood is a mosaic of classic blue collar Portland and homegrown craft. It's got good bones and builds upon them with a surge of creativity and culture. 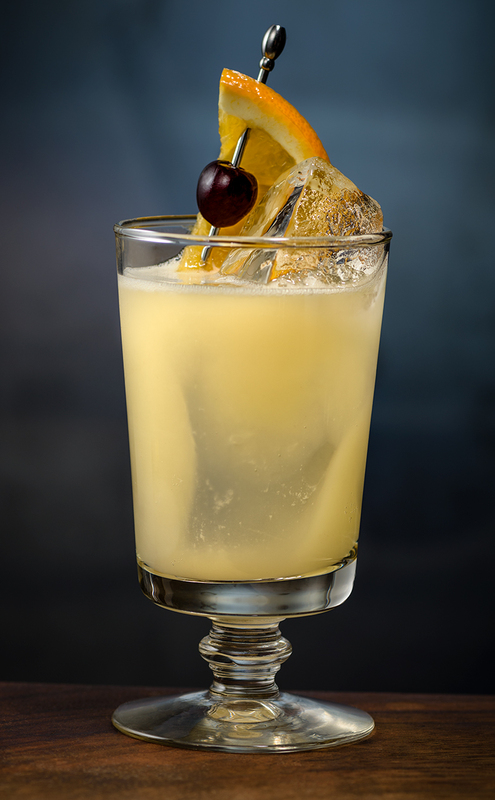 A few simple ingredients come together to make a classic, just like a whiskey sour. This cocktail is a unique collision of new and old mixing a few quality ingredients with our blend of Oregon-Oaked American whiskeys. Add all ingredients to a shaker filled with ice. Shake for 15-20 seconds. Strain into a rocks glass with a big ice cube. Garnish with maraschino cherry.